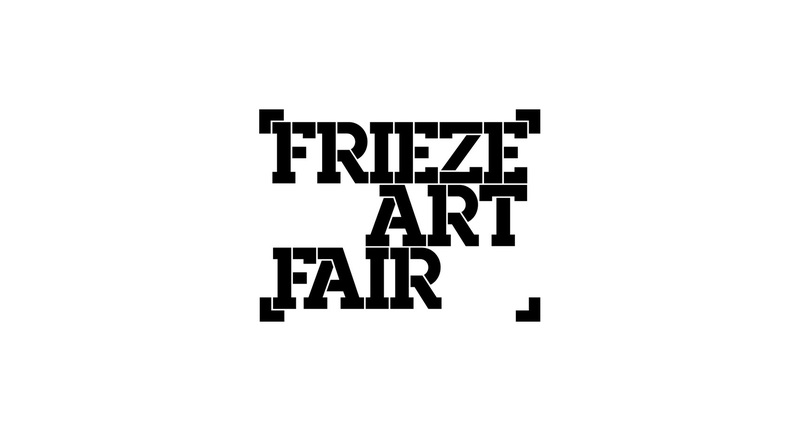 Hales is delighted to announce its return to Frieze New York for the fair’s 2019 edition, with an international presentation of four artists, whose work reflects the vision of the gallery’s own programme. With diverse perspectives and complex practices, artists Frank Bowling, Virginia Jaramillo, IAIN BAXTER& and Omar Ba explore themes of memory, identity, history and environment through powerful expressions of colour, material and form. Two works by legendary British abstract painter Frank Bowling OBE RA are featured in Hales’ presentation at Frieze New York, ahead of his retrospective opening at Tate Britain on 31 May 2019. Now in his 80s, Bowling has responded to his changing physical abilities by collaborating with family and friends in the studio. Still painting almost every day, he has not ceased to explore the nature and possibilities of paint and continues to experiment with a diverse selection of formal devices and processes, ranging from stitched canvas, to mixed media collage and poured paint. Reflecting his ongoing commitment to abstraction, Main & St John is a painting started by Bowling in 1978 and completed forty years later in 2018. Bowling continues to orchestrate the emotive potential of colours to communicate a visual experience of uniquely sensuous immediacy. Highlighting the complexity and variety within IAIN BAXTER&’s extensive practice, the presentation at Frieze New York includes a series of polaroid photographs, Images of America (1981-82) and a vacuum form (inspired by commercial signage, he used a vacuum forming method to create plastic artworks), Landscape with 3 clouds (1965). BAXTER&’s work can be defined by a commitment to the thought-provoking themes of identity and environment, with an emphasis on the natural landscape in contrast with the landscape of information. The artist reads the landscape as a signifier for humanity, through our built environments and methods of communication. BAXTER& combines fresh humour with an underlying critique of consumer culture, in direct contrast to the celebratory nature of his pop art counterparts. IAIN BAXTER&’S work has been the subject of an extensive retrospective, jointly organised by Art Gallery of Ontario (ON, Canada) and Museum of Contemporary Art, Chicago (IL, USA). Over a career spanning six decades, American artist Virginia Jaramillo has explored abstraction through extensive experimentation with material, process and form. By simultaneously showing works from 1982 and 2018 in this presentation at Frieze New York, Hales highlights the differing experiments and explorations in the artist’s practice. Crossing the boundaries between painting and drawing, in Foundations (1982) Jaramillo explores watermarking as a means of drawing by structuring layers of pulp stained with coloured earth pigments. In Site: No. 12 38.4824° N, 22.5010° E (2018) Jaramillo returns to painting with rich, textural surfaces which distinguish fractured and fragmented forms. Jaramillo has recently received critical acclaim in blockbuster touring exhibitions: Soul of a Nation: Art in the Age of Black Power (Tate Modern, Crystal Bridges, Brooklyn Museum, the Broad, LA); We Wanted a Revolution: Black Radical Women, 1965-85 (Brooklyn Museum, Californian African American Museum, Albright Knox Gallery, ICA Boston). Omar Ba lives and works in both Dakar, Senegal and Geneva, Switzerland, drawing on past memories and present experiences of both cultures to create works both deeply personal and politically resonant; works that, he suggests, tell the stories and weave a thread between African and European culture. His paintings fuse figurative and decorative modes, combining a masterful use of oil, gouache and crayon and delicately applied china ink with rough, readymade surfaces such as corrugated cardboard. The Power Plant Contemporary Art Gallery (Toronto, Canada) is currently presenting Omar Ba’s first institutional solo exhibition, Same Dream, which will tour to Montreal Museum of Fine Arts (Canada) in May.